Located on the west edge of campus, the UNI Power Plant generates steam and electrical power providing energy for lighting, heating and cooling systems for main campus buildings. 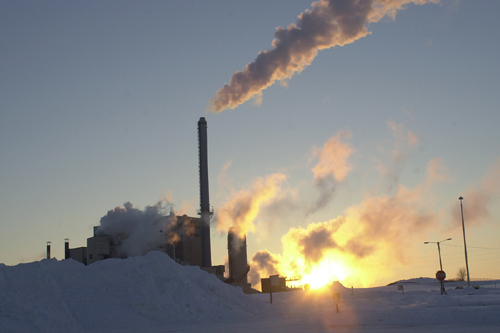 This co-generation plant uses four boilers with a total steam capacity of 345,000 pounds/hour. The steam is used on campus for building heat, domestic hot water heating, cooking in food services, and making chilled water for cooling via steam absorption chillers. The plant is staffed 24 hours a day, 365 days a year. Steam and electricity are distributed from the plant to campus via tunnels, underground piping systems and underground conduit systems. To report irregular utility conditions or utility interruptions, call 273-4400.